Here’s a side view of my house, from the northwest corner. I hung a bluebird house on one of the crabapple trees; I was going to hang the house in the back by the pond, but we have about 10 birdhouses back there already – maybe a new family of birds would like a bit of privacy (as we did!). I can’t wait for them to start budding this spring, though my allergies won’t be too happy about it. 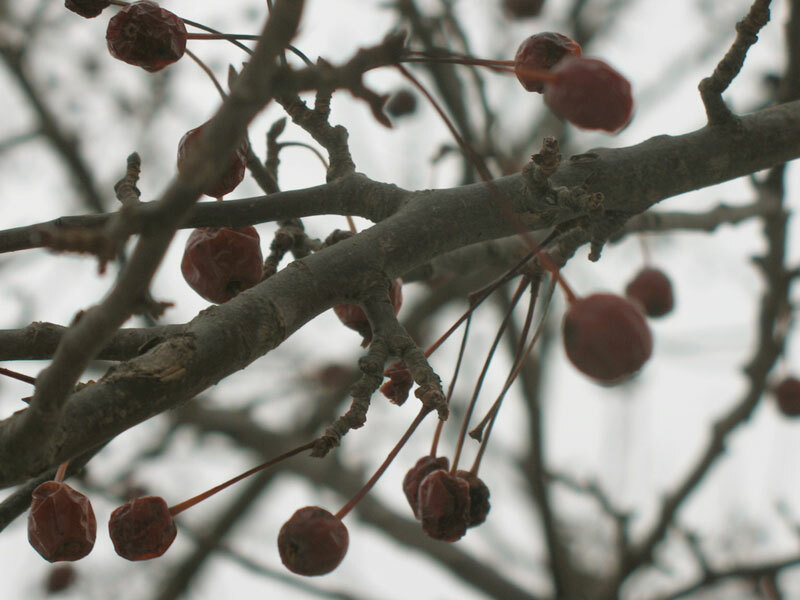 The trees are about 15 years old, and flower both red and white. 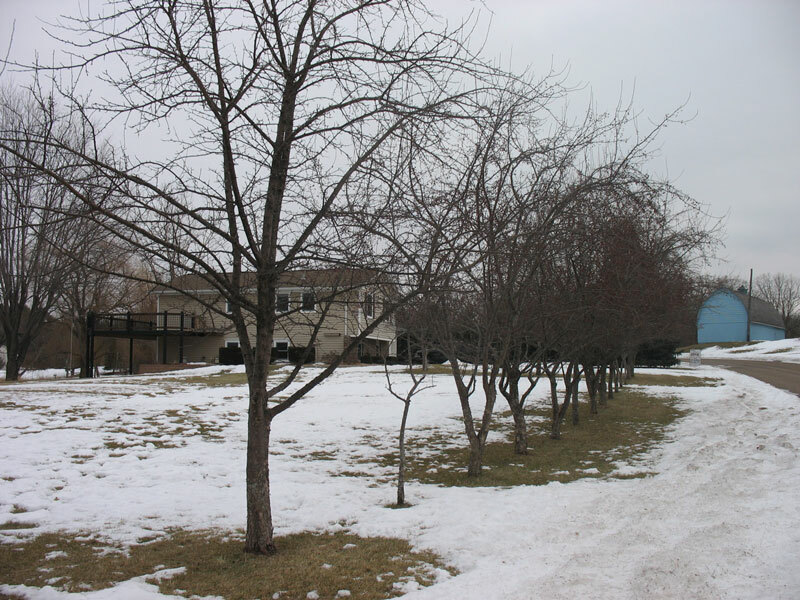 We have 25 crabapple trees on the property – 19 (I think?) along the street, and the rest are planted in the back. In other house news, we are installing a fence as soon as the ground lets us – which should be in about 3 weeks. We got a couple of quotes and … well, it’s going to be expensive, to say the least. But we’re fencing in the entire acre – and the company that is installing the fence can run the fence behind the trees that border the pond – so we’re really maximizing the space. We thought about only fencing part in this year, but figured that materials and labor aren’t going to get any cheaper, and now we’ll be able to enjoy the entire yard with the dogs, niece, nephew, and soon-to-be new nephew this summer. Plus, the garden will be fenced in … this won’t keep the deer and gophers out, but hopefully it will keep the rabbits away.